Philadelphia's 19132 ZIP code has the fifth highest car-insurance rates, according to a report from CarInsurance.com. The good people at CarInsurance.com went ahead and broke down car insurance rates to determine the most and least expensive ZIP codes for such coverage in America. Lo and behold, drivers in one Philadelphia neighborhood are, on average, paying the fifth-highest rates in all of the land. 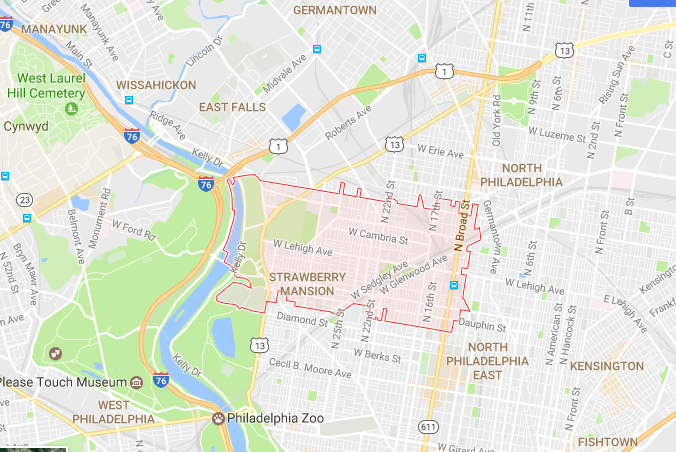 Trailing only Detroit, Brooklyn, New Orleans and Coral Gables, Fla. was a section of North Philadelphia that comprises much of Strawberry Mansion and a sliver of the Stanton neighborhood. That’s right, if you live in the fightin’ 19132 – an economically depressed area to begin with – you’re paying 110 percent more than the state average ($3,189 to $1,522) to insure your vehicle for a year. Statistics provided by Philadelphia Police Department on Tuesday morning lend some insight into the ZIP code's negative standing with car insurers. In the years between 2014 and 2016, there were 328, 287 and 298 cars reported stolen in the 22nd Police District. That accounts for roughly 5.5 percent of the overall city total during that three-year span. The 19139 area code in Southwest Philly didn’t fare much better, clocking in at $3,169 annually – on average. Rounding out the top four ZIP codes in Pennsylvania were 19140 (North Philadelphia from Fairhill to Wyoming, $3,127) and 19133 (Fairhill and North Philadelphia, east of Broad Street, $3,123). The national average clocked in at $1,355 for full coverage with two cities in Ohio – Fremont and Coldwater – taking least-expensive honors at $804 annually.